Last summer we were invited to give a lecture at the 20th Salzburg Meeting of the REFORM group in Schloss Leopoldskron, Salzburg, as part of the workshop “Deconstructing acceptance. Social science perspectives on the siting processes of radioactive waste repositories“. The workshop was organised by the Environmental Policy Research Centre, Freie Universität Berlin, in the framework of the ENTRIA project (Disposal Option for Radioactive Residues: Interdisciplinary Analyses and Development of Evaluation Principles). 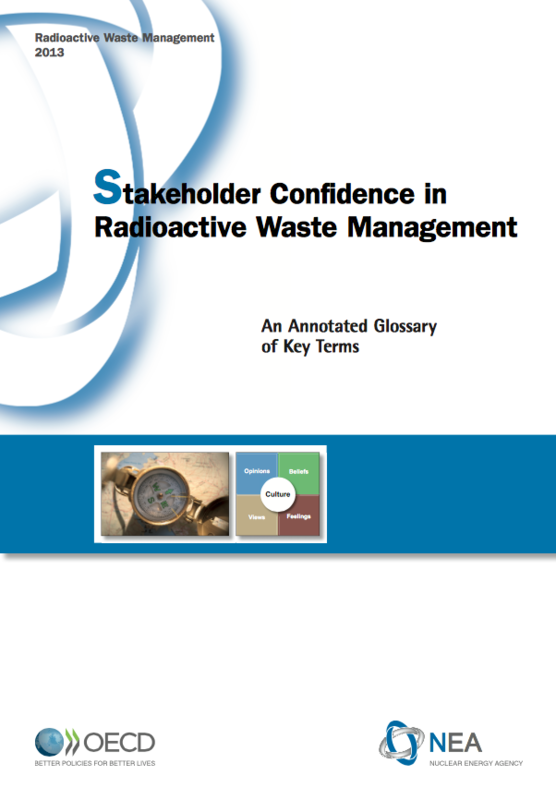 Our presentation was based on the Nuclear Energy Agency Forum on Stakeholder Confidence (FSC) work: an annotated glossary, where the concept of public acceptance is analysed versus ownership of a societal project. According to the FSC, ownership refers to an active and voluntary role of representatives of the local community working together with the implementer to frame the problem and assess technical and socio-economic issues related with the site, the waste management concept or the facility design, whereas acceptance entails negative connotations associated with imposing a certain project on a local community at a certain point in time. When ownership is a voluntary and conscious process, one may want to pass on the positive feelings to the next generation.